Having certain areas of our golf course get dry and "brown out" was actually planned during the initial design and construction of Redwoods; many golf courses tend to adopt similar practices. When mapping out where the irrigation would be and how far it would cover, our topmost priority was and still is given to playable surfaces of the course: fairways, greens, and tees. We want these areas to be looking and playing their very best, even in the toasty summer months. Our irrigation is therefore focused on these areas, which allows lesser important areas, like the rolling hills separating holes, to go without significant amounts of water and ultimately leading to less unnecessary water usage. There are thousands of species of grass which have differing characteristics enabling grasses to thrive in different environments. The turfgrass that we allow to brown out is actually a species which is perfectly capable of surviving with very little water. 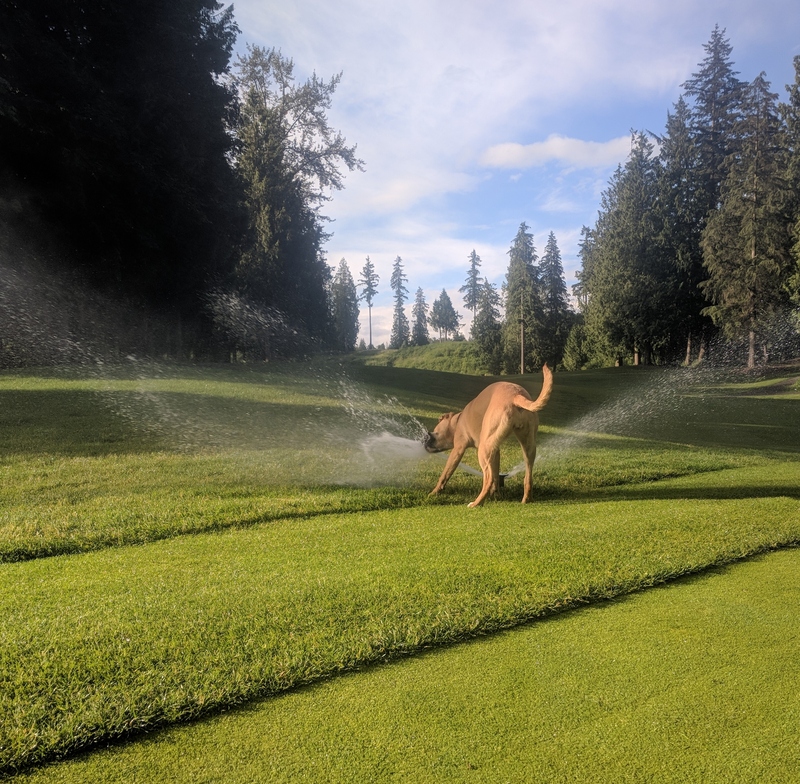 Areas of the course, outside of our typical irrigation and not a priority playable surface, were strategically planted with a turfgrass that can better survive long periods of dry weather--the typical Lower Mainland summer drought for instance! Both practices of intentional irrigation planning and the planting of different species of turfgrass can be seen on the rolling hills that separate Hole #1 from Hole #18, and Hole #18 from Hole #11. While some may argue that the hills between #11 and #18 are in play (yep--that's where my tee shot goes too!) it is an area that wasn't originally intended for a well-placed drive. Our irrigation in all of these areas is focused on the fairways on either side of these browned out hills to reduce water wastage. We have also chosen to plant fescue grass on these separating hills which have the dual purpose of withstanding these long summer droughts and browning nicely to create a beautiful contrast between the bright greens of the pristine fairways and the golden browned hills between. 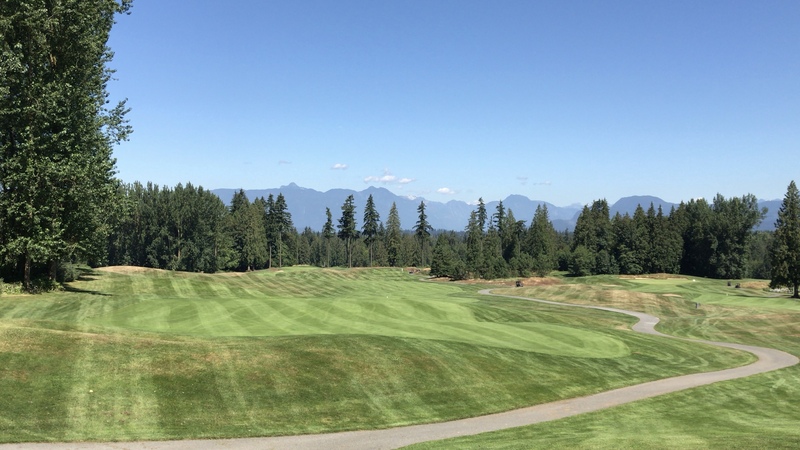 Next time you see dry, brown areas on the course, you know that the grounds crew isn't being lazy--the grass is meant to look that way, so book your tee time! Thanks to Cameron Watt, Assistant Course Superintendent, for providing the details for this post! Love to golf and spend time with your dog? You can put your two favourite hobbies together at the Redwoods! We are very happy to announce that we are a dog-friendly facility! That’s right, no more guilty feelings when you leave Spike at home while you enjoy an afternoon on the course! Book a tee time for any time, bring your pooch on a leash, and come on out for a day on the course with your faithful four-legged friend! Enjoy a post-round snack and a refreshing beverage on our patio overlooking the 18th green because Fido is welcome there too! Simply keep your pup out of the bunkers and off the greens, and pick up anything they may have left behind… and everyone will have a great time! We invite you to read our full Dog Policy before the first round with Buddy to learn more about our on course dog etiquette expectations. To celebrate, we are inviting golfers to bring their dogs to the course on Friday, June 29th for our Dog Days of Summer event! There will be treats, there will be complimentary poop bags, and we are hoping there will be plenty of dogs! Simply book a tee time for any time on the 29th, let us know that you are bringing your dog, and we will have a goodie bag ready for you! Have you downloaded the Redwoods App yet? It's a great way to get the most out of Redwoods! It has an update on course GPS which shows distances to hazards & greens, as well as can help you plan the perfect layup! 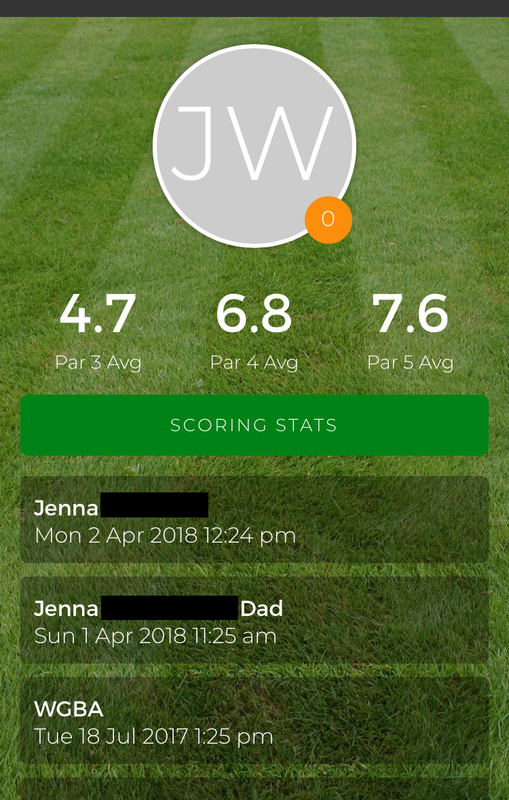 Use the app to keep score and it will track your round history and calculate your average scores based on past rounds. 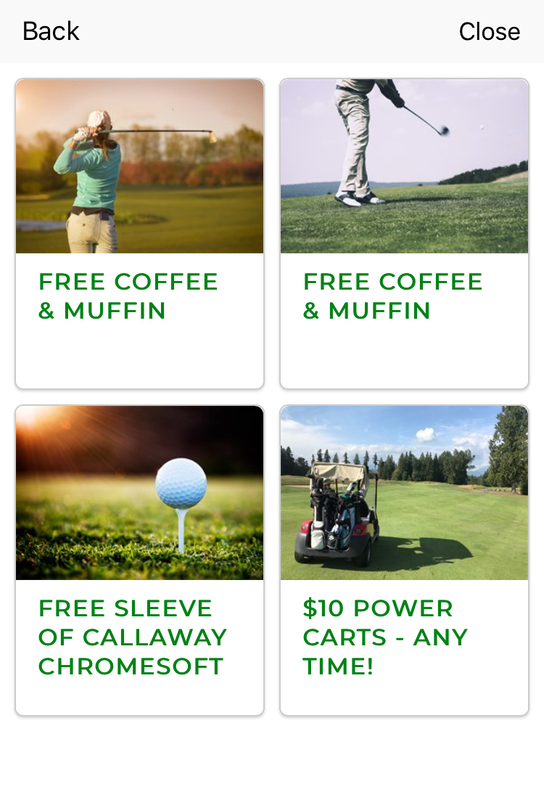 Show the app to the Golf Shop at check-in and you will receive a loyalty punch which will help you earn FREE golf! We now have a brand new way of giving back to our loyal App users: The Offer Locker! With the Offer Locker, you can get a value of over $50 in added bonuses when you golf with us this summer! The Offer Locker features a selection of one-time use vouchers which are only available to golfers with the app. We will be adding to this throughout the year so make sure you check back for new offers! On the main page of the app, you'll see a button saying, Offer Locker. Once you enter your name and email, you will get access to all of our app-only offers! For signing up for the offer locker, we will give you a complimentary medium bucket of balls to use at the range anytime! Each offer in the app (other than the sign-up bonus) is valid on certain days. On the day a voucher is valid, show the offer to the Golf Shop at check-in, or the restaurant/concession shack when applicable, and they can redeem your offer! Back in November, the Redwoods owner/operator, accompanied by the Sales Manager and Marketing Coordinator, attended a National Golf conference where Golf Course Owners and employees from all across Canada come together to exchange ideas and learn from each other. 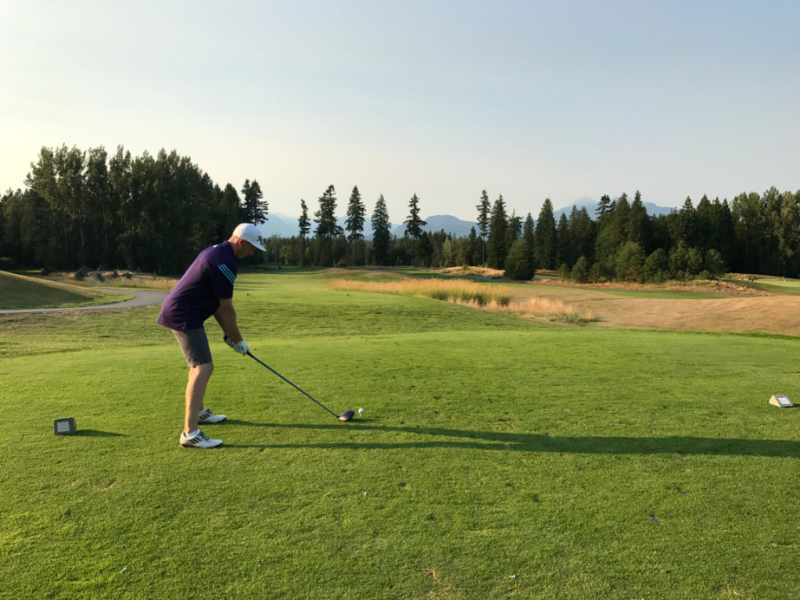 At the conference, we happily bragged to all owners east of the Fraser Valley about how lucky we are to get to have year-round golf at our course in Langley… boy did karma ever hit us hard! We at Redwoods haven’t experienced a winter season even remotely similar to this in ages! 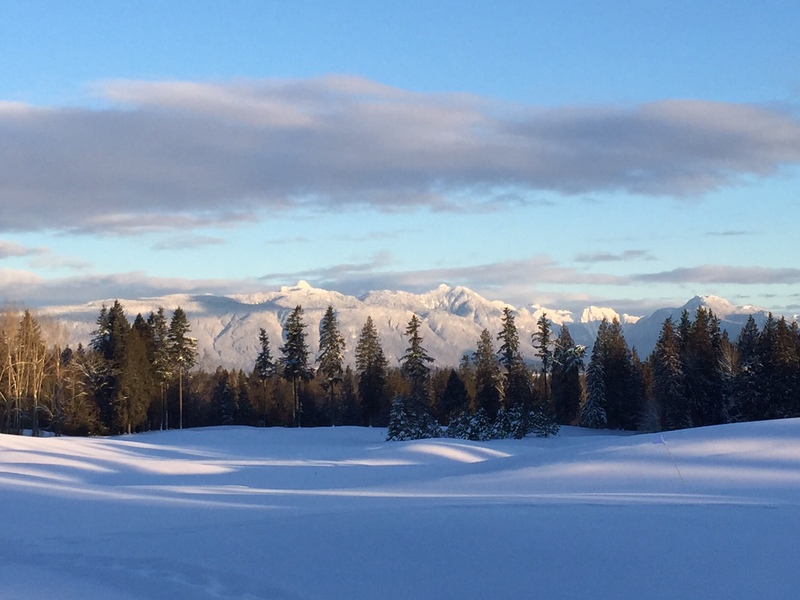 As a Lower Mainland golf course, we can normally expect to close for a few days a year due to frozen ground, frost, or a little dusting of snow. But never, in the twenty-three-year history of the Redwoods, have we had two and a half months of full course and range closure (broken up in January with one week of opening the range and a 5-hole track). We have learned a hard lesson: keep our mouths shut about the mild west coast winters at the National Conference next year! 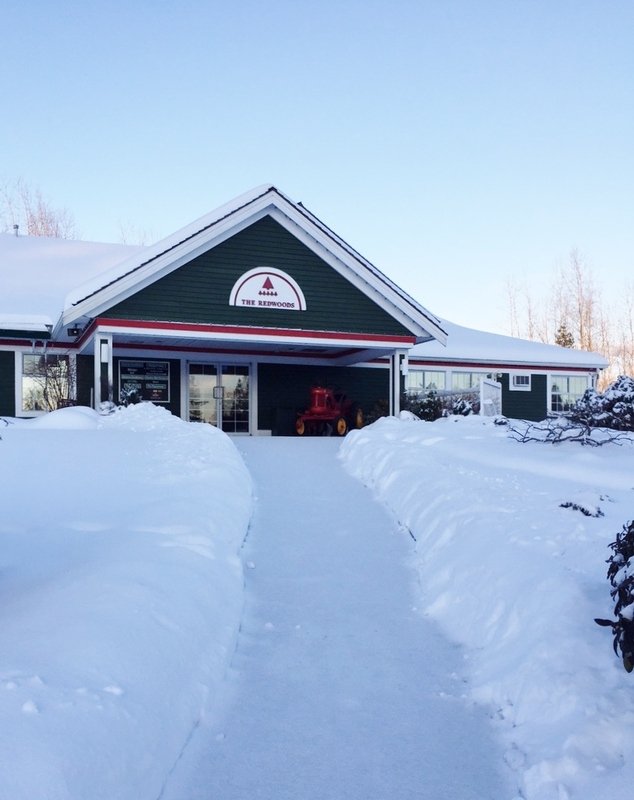 ONE: Throughout November and December our restaurant was closed to the public but that doesn’t mean it wasn’t packed! Every Christmas season we host an array of company Christmas parties and this year was no different; the festive decorations are up, the food is fantastic, the drinks are flowing, the music’s going, and it’s always a good time! Did you miss out on booking your company Christmas party this year? Contact our Events Team to book your event early this year! TWO: As some of you may know we are doing a little (okay...massive) renovation this year: the wedding ceremony site! The old ceremony garden was charming, beautiful, and the very site in which so many couples spent one of the best days of their lives. With over ten years of weddings under its belt, we decided to give our ceremony space a revamp this fall and winter. We broke ground at the beginning of October and we have been working hard on the project ever since! We can’t wait to show you what is going to be an exquisite, elegant, and extraordinary space. Follow along with the transformation on our Redwoods Weddings Facebook page and Instagram account. THREE: In the spirit of renovations, we did a little work indoors with a Golf Shop reno! We have a country theme that is apparent all across the Redwoods property and we wanted it to show it off in our Golf Shop as well. We fully embraced the rustic, farm look and we even added in a feature palate wall. Come check it out! so you will be the first to hear the announcement. While snow and golf don’t necessarily mix, even a snow-filled and frozen winter is a busy one at the Redwoods!